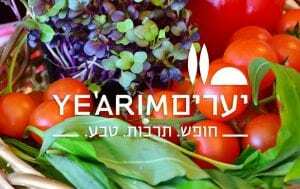 vegetarian and vegan offerings, and the excellence of the restaurant is evident in its quality kitchen and the excellent wide-ranging wine list based primarily on local Jerusalem Hills boutique wineries. A stop at the local bar will help round out an especially enjoyable evening. Open Monday-Saturday, 12:00-24:00; Sunday, 18:00-24:00. Directions: Moma is located about one kilometer south of the Yearim Hotel. Drive along Road #425, turn south in the direction of Kiryat Anavim and drive through the kibbutz. The restaurant is located at the eastern edge of the kibbutz.